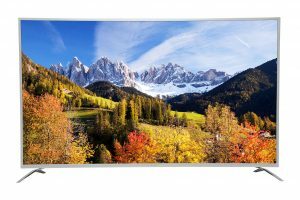 The TV also brings stable picture quality with no after image or flashing in case the screen is touched, while the High Transmittance facilitates high resolution with low power consumption. Aimed at providing seamless experience, the 1.5Ghz Quad Core processor in the Smart TV is ready for the coming generation viewers. The processor is integrated with 2GB RAM + 16GB ROM, that empowers super speed navigation enriching Gaming experience.